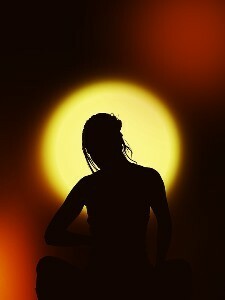 Meditation has been practiced since ages ago and is an important component of certain religious traditions and beliefs such as Buddhism, Hinduism and Taoism. But aside from the Spiritual aspect, it is also often used to clear the mind and ease many health concerns by training your mind, promoting relaxation and building internal energy. Practice meditation regularly – it only takes a few minutes every day, to reap the healthy physical and mental benefits. 1. 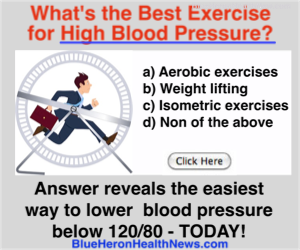 It can help lower your blood pressure. According to a study, meditation, Transcendental Meditation (TM) specifically, may reduce heart disease risks for both healthy people and those with diagnosed heart conditions. During stressful situations, your body naturally releases adrenaline, a hormone that causes increase in respiratory and heart rate, as well as a rise in blood pressure. This technique promotes a state of relaxed awareness which reduces stress and of course, results to a lower blood pressure. 2. It can help ease chronic pain. Millions of people live with chronic pain and it can be incapacitating. There are many ways to alleviate pain naturally without the use of medications and meditation is one of them. It has been shown that mediation can teach patients how to react to the pain as well as decreasing the activity in the pain processing area, thus reducing the pain intensity felt by those suffering from it. 3. It can improve the immune system. Studies show that meditation can boost the antibodies which are known to neutralize viruses and bacteria, thus promoting a healthy immune system. 4. It can reduce anxiety. Meditation enhances electrical activity in the parts of the brain that control positive emotion, awareness and anxiety. Anxiety causes the mind to be over-active and meditation counteracts this by preventing racing thoughts, fearful thought and restlessness. 5. It can prevent the signs of aging. Meditation promotes balance in your body’s system and when there is balance, certain factors that contribute to the process of ageing and decay are reversed. Also, with all the benefits mentioned above, meditation can help aging individuals to prevent health conditions that usually occur through age such as stress, cardiovascular diseases and a weak immune system.